Corey and David discuss the creation of secret space program, which began during the World War II era. According to Goode, an occult group within the German government began to develop a secret agenda after realizing the war was not going to end in German's favor. This select group settled in South America, and later Antartica, after developing advanced space age technology. This occurred as a result of contact between the Agartha Network and Draco civilization, which saw the formation of alliances during the 1920's and 30's; as discussed by Goode in Episode 1: Contact Is Made. 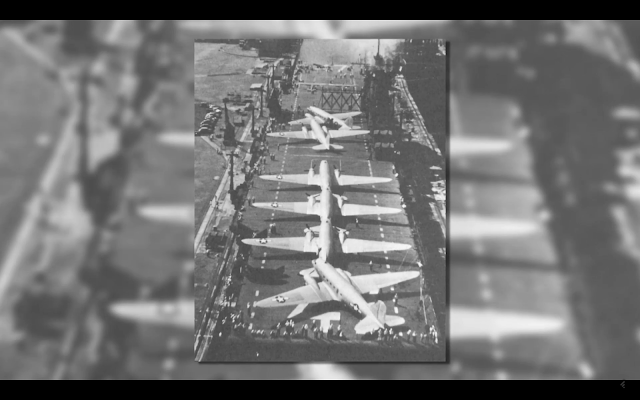 Goode says a power play ensued between the American and German breakaway groups, eventfully leading to the breakaway group infiltrating the highest levels of the American military industrial complex, government and intelligence. The secret space program, as described by Goode, is the genesis of this parasitic merger between the German breakaway group and the American cabal. Once unified, a vast amount of advanced hardware staffed by millions of people began to spread across the planet and into the stars. 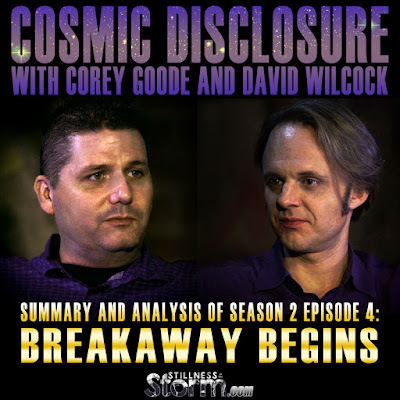 Corey Goode describes the inception of the great military-industrial complex which endowed its power holders with the capability to form the first breakaway civilizations. He tells how advancement in early space-bound technology put unprecedented power in the hands of a few who wasted no time in acquiring even more power. Operations Paperclip and Highjump were just two of the initial steps which led to the consolidation of technology corporations that became known collectively as the military-industrial complex. This interview with David Wilcock was originally webcast October 20, 2015. DW - But as Corey said, the Agarthans are in fact people that originated here on Earth, but due to catastrophic events, had to go underground. Now what we've been discussing is how this alliance formed. And how the Agarthans and the Draco allowed the Germans to be able to have the little extra help they needed in order to make their way up into space. We were just starting to get into really good stuff last time, and now we're back to continue the story forward. Corey welcome back to the show. DW - I'm just trying to keep my brain in my head here. What is it like to get brought into this world and learn all these things. If you are walking around in society and you know all this stuff, what's it like to see people that think we're alone in the universe and this is all there is and there's no life after death. What's it like to be brought into this world? CG - You get used to it. I see people looking up at the Moon, but when I look up at the Moon it is totally different [what] than other people [perceive]. You grow accustomed to it. DW - Do you think the Agarthans had a lot to do with rebuilding our societies in the aftermath of some sort of catastrophe? CG - Yes. 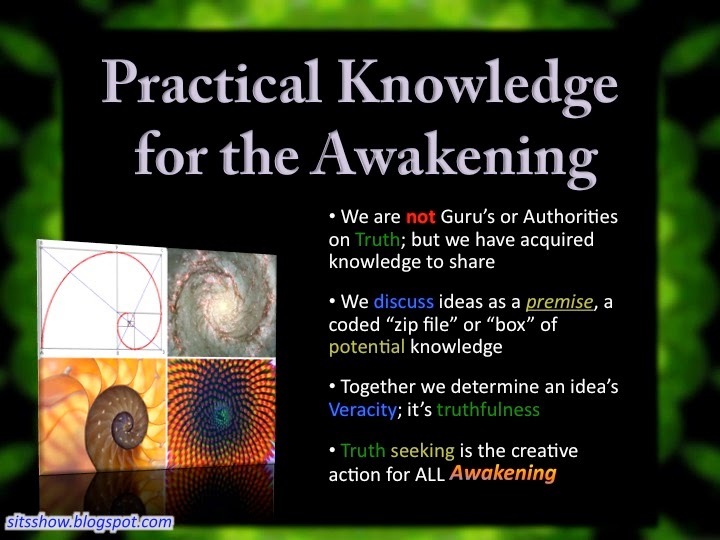 That ancient breakaway civilization [the Agarthans] did help and there were others that did the same thing. DW - You said these Agarthans were more favorable to the Germans because the looked more like us, and this is where they got the master race concept from - you believe? CG - Either that, or they were favorable to them because of their proclivity to a master race. I don't know what came first. DW - Did the Agarthans fly with the Germans in their Bell craft? 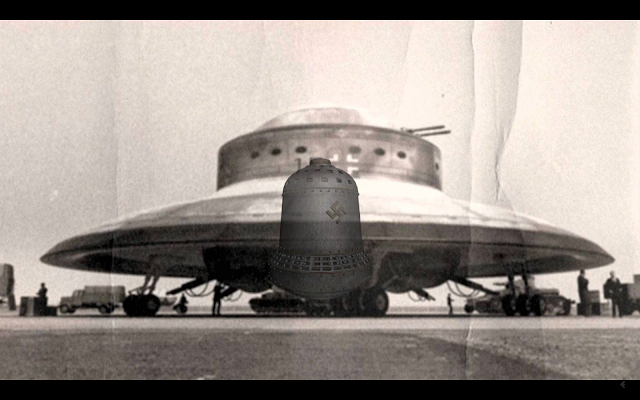 Alleged photograph of German antigravity vehicle with an artist rendition of the Bell engine superimposed over it. CG - Well, the bell was actually the engine component that [created] the electrogravitic field. The craft were actually larger saucer-shaped in the beginning. DW - What were the craft called in the documentation you saw? 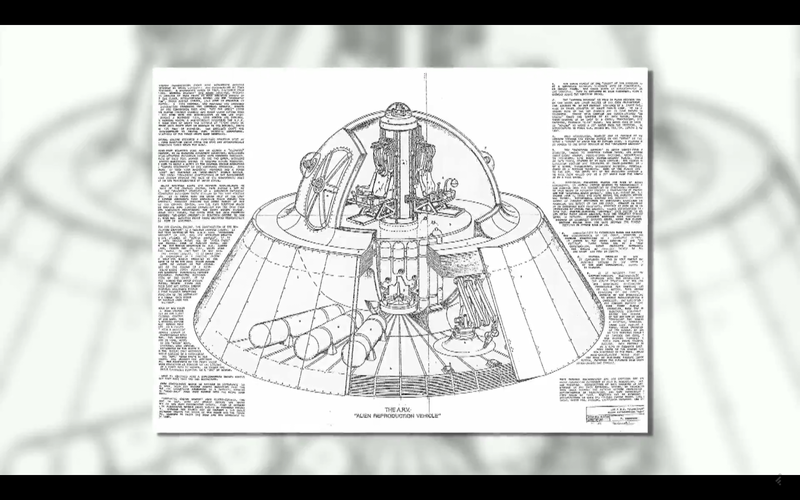 CG - When the Americans actually got their hands on them, they termed them ARVs; Alien Reproduction Vehicles. A diagram of an ARV. DW - Well, just to loop back to my original question - because some people are going to be left hanging if you don't answer this, did the Agarthans ride with the Germans in these craft? DW - Was this a frequent thing? 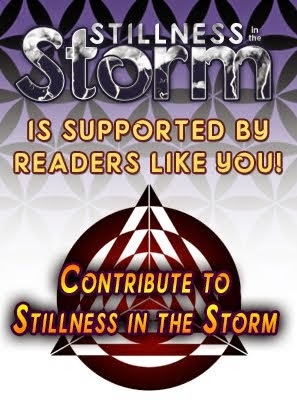 Were they usually supervised [by the Agarthans], [they] didn't just go by themselves? CG - In the beginning [they were flying with the Agarthans]. DW - What was the size you would estimate, of the Agarthan population? Are we talking maybe 10,000 or 100,000 people? How big is it? CG - I don't know, but I do know it was very large because it was a network [of cities or settlements]. CG - This was a network of underground cities. In the Himalayas, that is the closest-to-the-surface city, and this seemed to be where they came and went from the most from the surface. 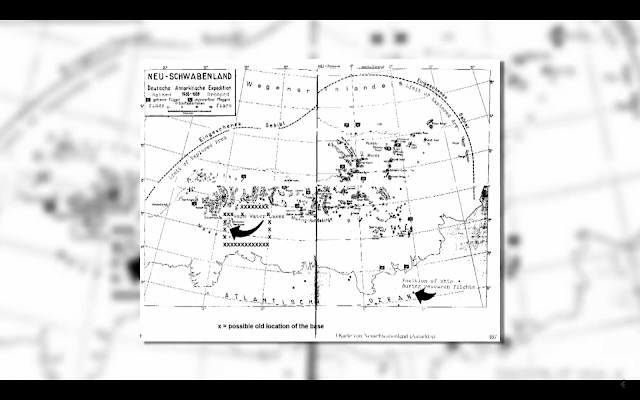 Old German map of Antartica; Neu Schwabenland. DW - And you said that there was some underground development as well as on the surface. Are we talking like basement cellars <chuckle>? How much underground infrastructure did [the German breakaway group] have down there? CG - It was basically the same kind of underground caverns that were built out by another civilization in ancient times. DW - It's pretty extensive? DW - We're talking [about going] multiple levels down [below the surface]? CG - Right, just like the description I gave you one other time about the further you go down you have kind of a honeycomb structure of caverns deeper under the Earth. DW - Let's just jump to that for a second because I think a lot of people are going to have some trouble with that, at least in the idea that, in conventional scientific terms, there's an understanding that the further down you go into the earth, the temperature steadily increases. So wouldn't these people just be burned alive in some kind of super oven? CG - That is the case for certain areas and depths, [but going deeper past these areas] it begins to reverse. DW - You actually get a cooling effect? DW - Do you think that these areas deep under the Earth that have vegetation and their own parallel evolution a of a biome, [complete with] animals and plants and so on - do you think this is evidence of intelligent design? Doesn't it seem like the planet is 'rigged' to have intelligent life that can live on the surface and then maybe more advanced intelligent life [develops] that can live underneath to supervise [the surface] while being undetected? CG - Life springs up wherever it can. DW - Even in such a complex form as a whole biome, you're saying? CG - Right, even in interstellar space. DW - Ok, let's walk through how the Germans got up to the Moon. We kind of covered this a little bit last time, but you said that the super federation meetings you talked about, where there are 22 genetic programs that are being run on humanity, part of which involves the sharing and splicing of genetic material. You also mentioned, we're programed to seek out and worship god-like figures and transfer our power to gurus, leaders and politicians, that kind of thing? DW - And these people that run the super federation - I think you said there's 40 that are normally like the main ones? CG - 40 to 60. DW - Is it always the same delegates that they send to these conferences or does it rotate? CG - It's usually the same ET delegates [from these 40 to 60 groups]. The Earth delegation [from the SSP Alliance] rotates. CG - Well at this point, Germany had already been abandoned by the German breakaway civilization. DW - When did that start to happen? CG - It started to happen well before the end of the war. They saw the writing on the wall, the war was going to go badly; and they knew it. So they started, as we discussed, creating enclaves in South America, Brazil and then down in Antartica. DW - This is all in preparation for them losing [the war]? DW - What were they [planing] to do if they lost? 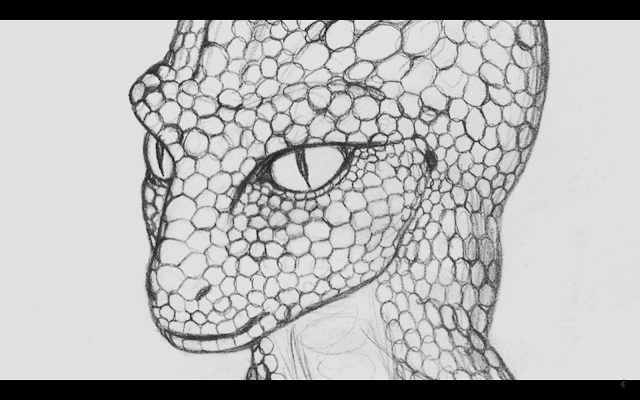 CG - They wanted to continue their breakaway civilization and leave all the regular people behind. DW - Is the apparatus that's developing the breakaway civilization in its own separate compartment, different from the government apparatus that's actually fighting the war? 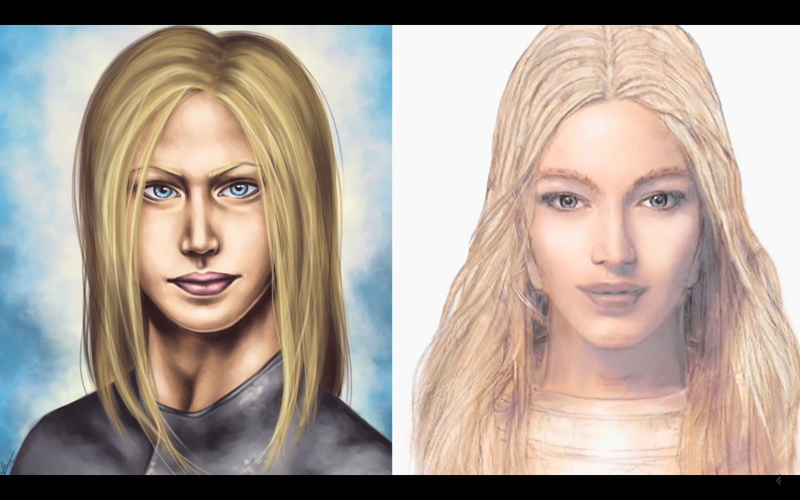 CG - Yes, they were totally separate by this time. DW - I think that's a widely misunderstood concept what you're saying there. CG - Yes. What happened is, during Operation Paperclip, America had obtained quite a bit more scientists than advertised. 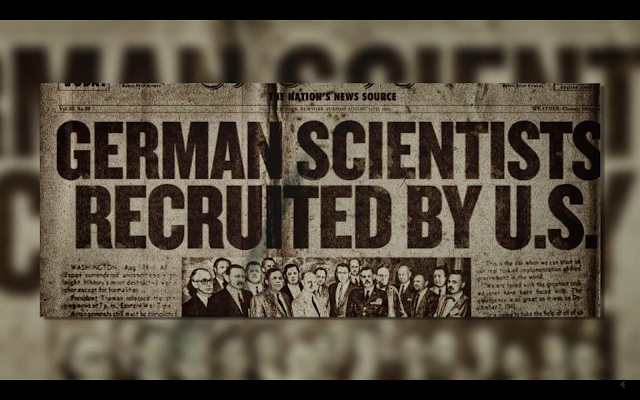 DW - What is Operation Paperclip for those who may not know? 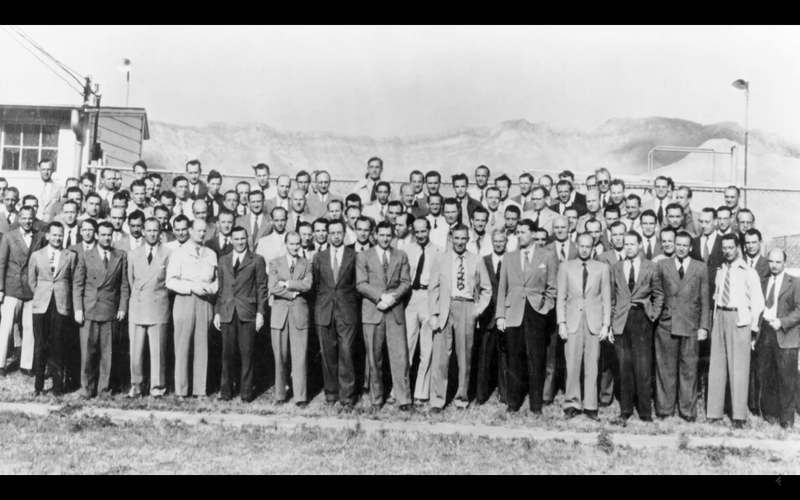 CG - Operation Paperclip is an agreement where we (the United States) obtained German scientists and technology that was highly advanced; these people were 20 and 30 years ahead of us technologically; as far was what was said on paper. Wernher von Braun (middle) John F Kennedy (right). 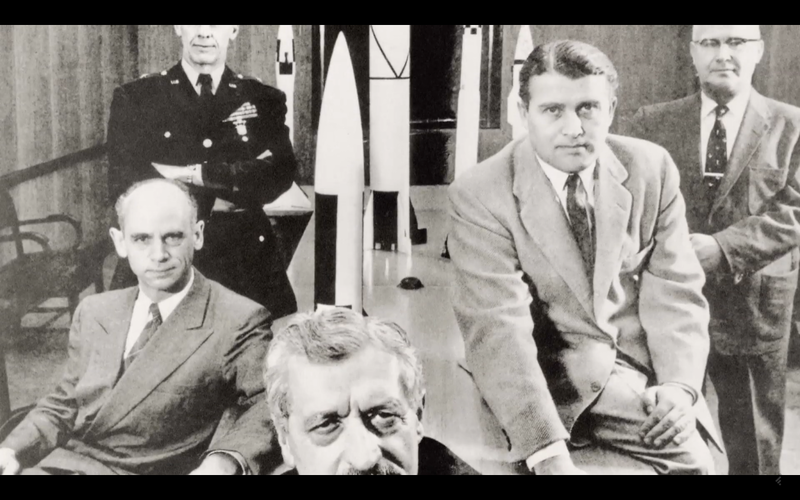 Wernher von Braun (front right). CG - So we brought them in, and after the war, we took these German scientists and put them into our fledgling space programs, into our infrastructure and started giving them quite a bit of power as they started proving themselves as valuable assets. DW - Why in the world would be trust them? CG - They were making the U.S. money. DW - <shakes head disapprovingly> It doesn't seem like a good idea. CG - Well, it wasn't. In 1947 our intelligence agencies discovered the breakaway German groups created enclaves in South America and Antartica. 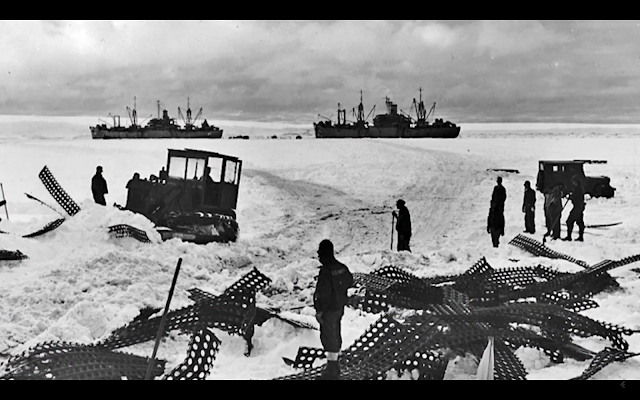 And we knew that in Antartica, there was a very large military base. What the DOD [U.S. Department of Defense] decided to do was send a very large fleet under the command of Admiral Byrd, called Operation High Jump. Many people are [probably] familiar with the name of that operation. CG - I can't remember the exact number, but it was a war fleet. 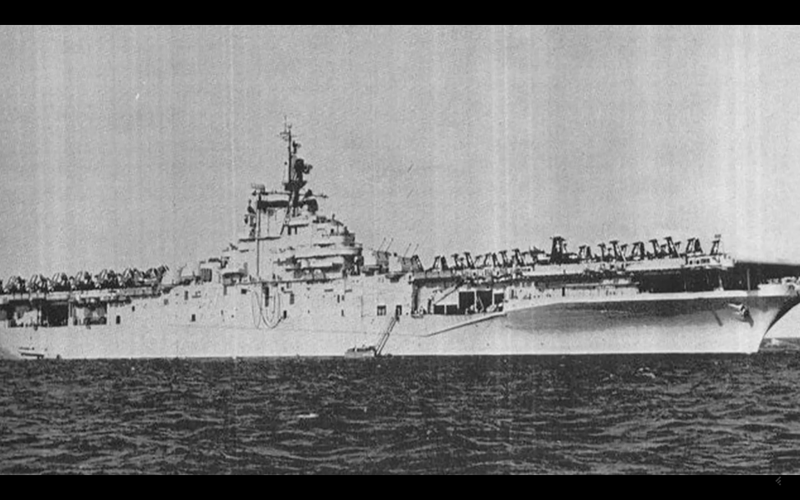 CG - Battleships, destroyers, aircraft carriers, submarines, the whole nine yards. 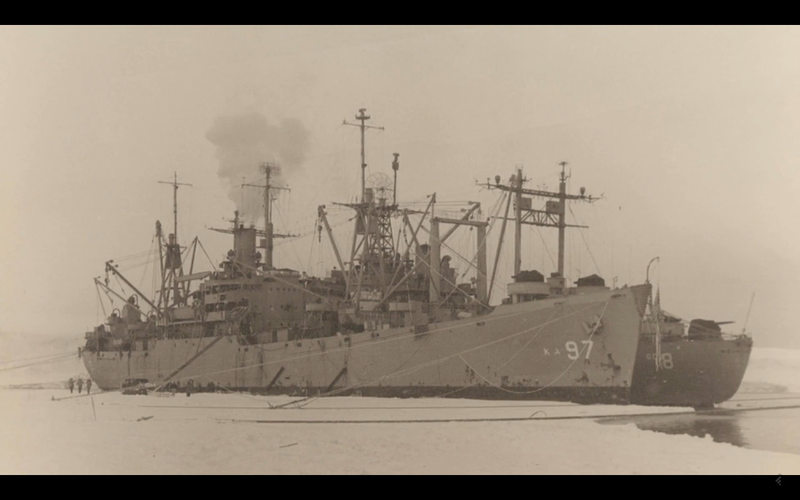 DW - This is after World War II though. You said 1947? CG - Yes, 1947. 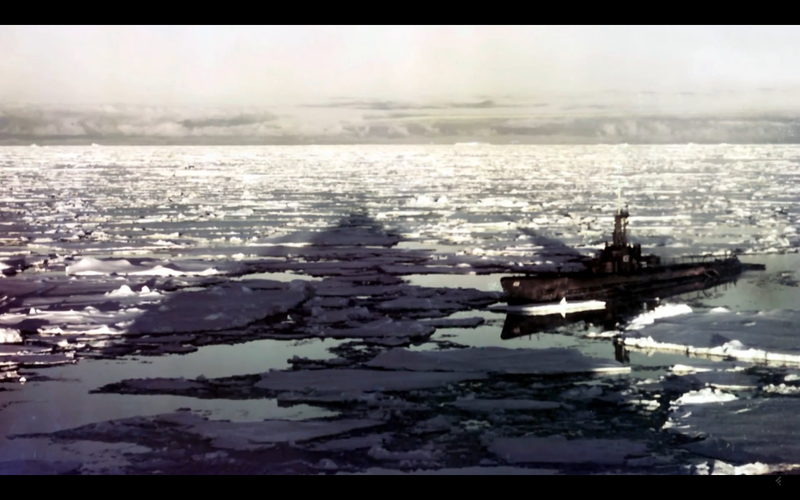 They made it all the way down to Antartica and ended up running into quite a bit of high technology that they didn't expect. There were highly advanced [German breakaway] aircraft coming up out of the water, from mainland Antartica, that were shooting down [the American] aircraft and major damage was done on several destroyers - lives were lost and the [Americans] really had their rear ends handed to them. DW - [The Germans were] shooting them down with rockets and machine guns? CG - [No], advanced weaponry. Energetic weaponry of some sort. DW - Wow. How destructive were these weapons? What would happen if they fired one? DW - But wait a minute. I was a geek and I read about 300 books on Atlantis. 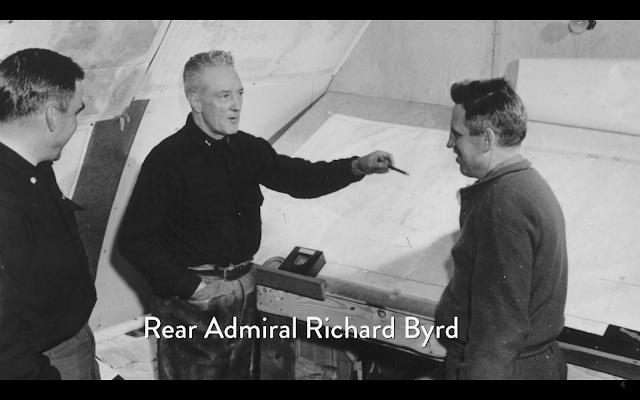 And they say that Admiral Byrd saw the [Hollow] Earth and [this kind of thing], that there were mammoths and cavemen [there]. CG - That's a bunch of stuff that came out later, which has nothing to do with the actual mission he was on. DW - Was it disinformation? Was it planted disinformation? CG - It was either disinformation or somebody with a large imagination. I don't know which. DW - Did they do this over radio; some sort of encrypted radio communications? 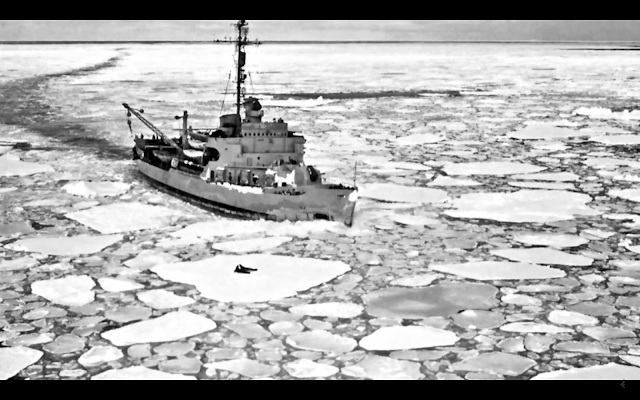 CG - It started out as radio communications, [where] they arranged a meeting between Truman and the breakaway [German] group. 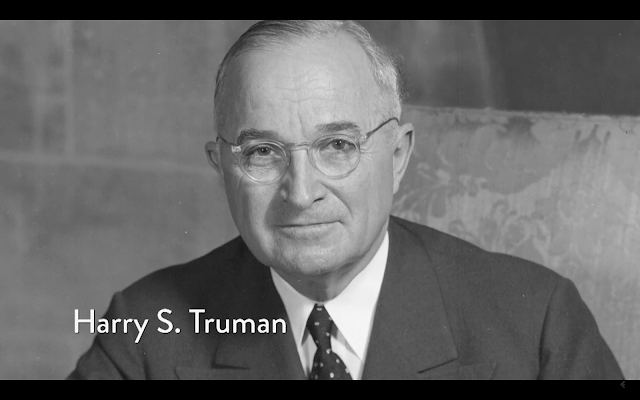 CG - This breakaway group started making some pretty heavy demands that Truman didn't like. DW - So if High Jump happened in 1947, when [did these communications start happening]? CG - Immediately after [High Jump. After this communication] there was a period of contention. The German breakaway civilization [learned] through the Paperclip Germans, that after [the] Roswell [UFO incident] and [earlier] crashes by extraterrestrial craft, [the Americans] created a policy above top secret, above nuclear weapons, that made the existence of extraterrestrials and certain technologies [highly classified]; never [meant] to be released to mankind. This was because [doing so] would destroy society and [the socioeconomic fabric of the planet], that was their reasoning [anyway]. 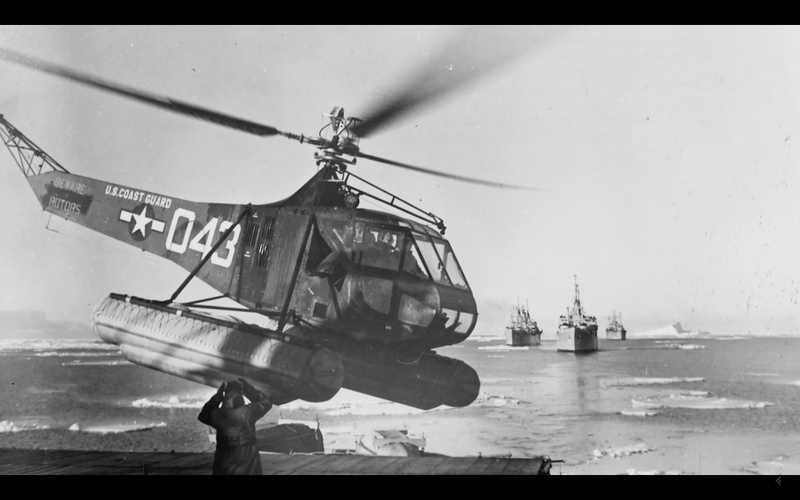 [After] the German breakaway group that was down in Antartica [learned about this policy to hide the existence of ETs from the public, the Germans] started to take advantage of this and [did] sorties over the United States; [flyovers of advanced aircraft that the public would mistake for ET craft]. This includes the [well documented] 1952 flyovers of [UFOs spotted over] Washington DC, which were two weeks apart. 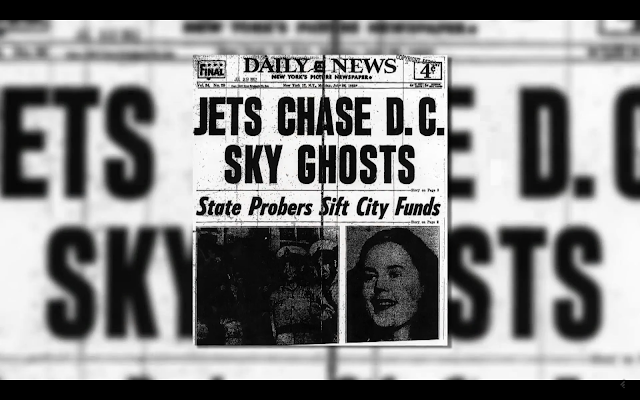 DW - I always thought that was extraterrestrials; they flew right over Congress. CG - Right. 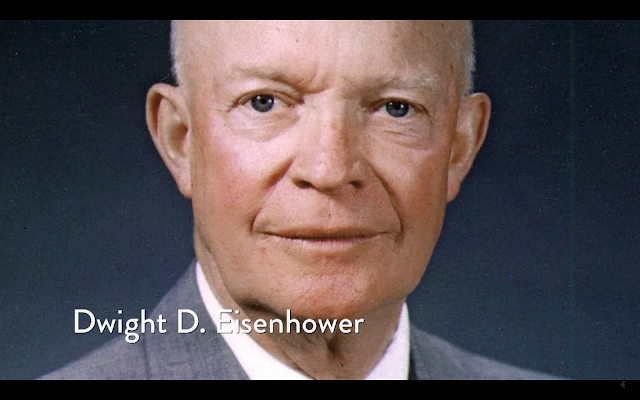 So this was happening at the end of Truman's Presidency and the beginning of Eisenhower's time in office. DW - At this point did the President of the United States still actually have the final say-so on the military and what they were doing? CG - Yes, he still had quite a bit of power. Eisenhower and Truman were the ones that signed treaties with the German breakaway group. CG - What this did is brought the German breakaway group over to the United States. Both groups had an agenda [and they were each working to ensure it was successful]. The Americans had a plan that when the German breakaway group arrived, they we were going to infiltrate them, get their technology, find a way to defeat them - to use clean language <chuckle> - and come out the winner. Well, the German breakaway group had the same plan. They wanted to build out infrastructure in deep space and our solar system. Who better to do that than then United States, because [it was our industrial might that] defeated them. That [we] defeated the Germans because we built more tanks, more bombs, etc. It was attrition that caused the Germans to loose the war. DW - Did this German group get out with gold? Did they have their own sources of funding they could use [for] potential labor pools to activate? CG - Yes, they had lots of gold and plunder that they had [in their possession]. DW - But they need workers [and] industrial infrastructure? CG - [Yes], they needed industrial infrastructure. They needed access to our corporations, which signed the checks [for the people that] created the business plans [that] helped built out the infrastructure. So what happened is [the German group] won this little competition for who would infiltrate who. And they completely infiltrated the [United States] military industrial complex. CG - Well [the German group] already had a pretty good foothold with the German Paperclip scientists. And when [the breakaway group] came in with all this advanced technology, the fat-cat business men didn't care who they were. They didn't care if they were a German breakaway group, they didn't care what patch they wore on their shoulder. These banker fat-cat's and big-company bigwigs just had dollar signs in their eyes. DW - They wanted the best toys on the block. CG - That's right. So with open arms, [the Americans] welcomed these German groups [into the fold], and the Germans got onto boards [of U.S. corporations and] totally infiltrated them. DW - What did the Germans show [the Americans] to convince them? Did they get any tours of the base in Antartica? CG - No, they handed over some of [their] ARVs, to let us back engineer while they were still playing us. This was really the root [cause] behind [President] Eisenhower's farewell address [warning] about the military industrial complex]. DW - [This is] his warning about the rise in unwarranted power and influence by the military industrial complex. CG - Yes, and by the end of the 1950's and early 1960's, [the breakaway group] completely infiltrated the intelligence agencies. After that they basically took over the whole U.S. government. DW - That's a lot to take in. I think everybody - especially those people who are sports minded - want to be on the winning team. And if you are on a team that didn't win, you feel as if you are a failure. I think you are going to encounter a lot of resistance because people don't want to believe in failure. They want to believe in: god and country, mom and apple pie, white-picket fences, SUVs in the driveway, and 2.5 children. What you're saying completely violates the idea of America as we know it. CG - And that is what's going on at the top. Everybody down at the lower level [is in the illusion you're talking about]. We still have the white-picket fence. We still have the SUV in the driveway. So [they've] been able to maintain that illusion [for all of society as we know it]. DW - Are there still people in the U.S. military that believe in the U.S. Constitution that they swore an oath to? CG - <emphatically> Absolutely, yes. DW - This could cause a problem, then, if corporations and defense contractors are cutting a deal with the Germans. Not everybody is really going to want to dance lock-step with [this group]. CG - Yes, and we can get into this later about the contention in the government, in the Earth alliances and what is going on there. 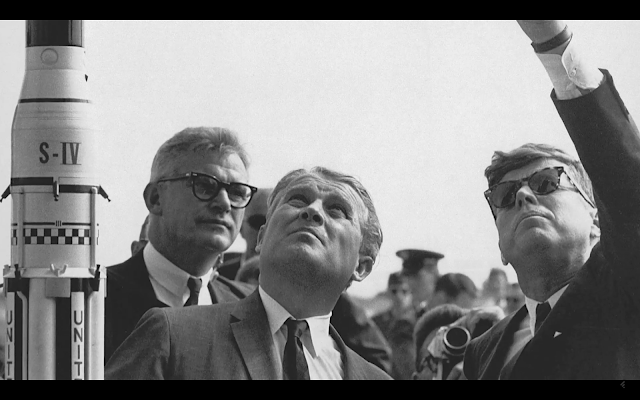 The Germans, once they had a firm grip [on] the infrastructure of the United States, that is, when the massive build out began in space and in the secret space programs. They started working together with American Cabal groups, that [they were already working with] during World War I and World War II. 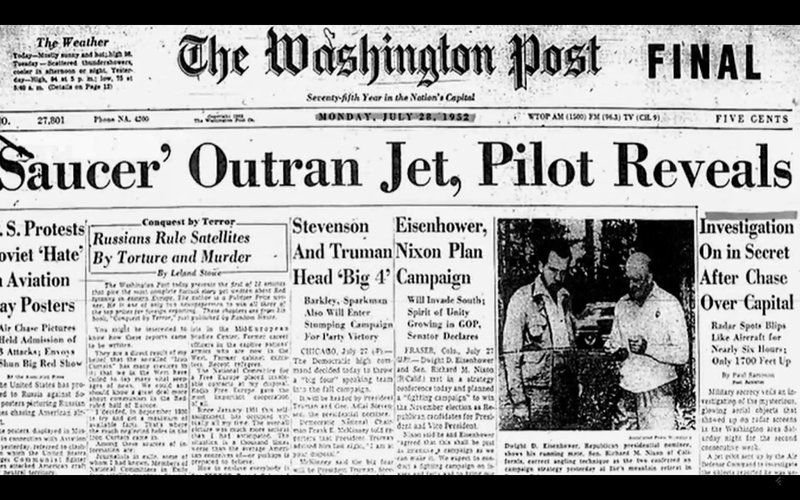 At this point, that's when they started to build out the secret space program in earnest and [part of this was] the massive infrastructure [in space and on Earth] that I'm talking about. 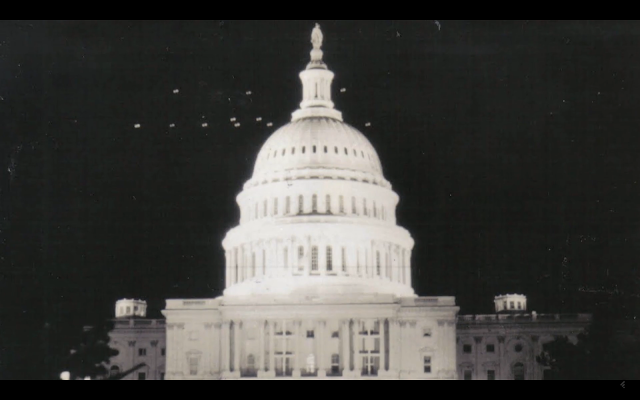 DW - And then the Germans pushed the envelope by making this very blatant public UFO sighting, which if it happened today, with everyone's [having a cellphone] camera, would be the end of the UFO cover up. CG - That was the straw that broke the camels back, to where, the presidential advisors said, 'ok we need to sign a treaty. ['But], when we sign [this] treaty we will also come up with a plan to infiltrate [breakaway group] and steal their technology. ['We will just] deal with them at a later time. 'We won't try to deal from weakness.' This pretty much brings us up to date where they started building up the main infrastructure of the secret space program. DW - Now this is obviously going to take manpower [to complete]. How do they get the muscle? This is another thing I think that people have trouble with. CG - This is going to get us into what people have called the 'Brain drain,' which occurred in the 1950's, 60's and on through to the 80's. A lot of [the] top scientists across the world were approached and offers were made to join these programs. All of a sudden all these brilliant scientists disappeared off the face of the Earth. CG - There were millions of people ['recruited'] over a long period of time, that were brilliant and showed a lot of promise. [The now unified American and breakaway group] felt [these people] could contribute to [the] space program as the infrastructure grew. They brought [the cream of the crop from society in to the program] to be apart of it. DW - My insider Pete Peterson, an old-timer of course, said that it was 50 to 60 million people in the brain drain. CG - That's a lot. DW - And are they assigned to have children really quickly once they come of age? DW - So 60 million people have kids as soon as they are old enough to do that, you could be talking about a population as large as the United States and more. DW - We're going to be continuing this narrative forward, finding more about what happened. How did we get these people up into space? What were they told? There's a lot more coming up ahead. I thank you for watching and stay tuned. Click here for a Summary and Analysis of Season 2 Episode 5.